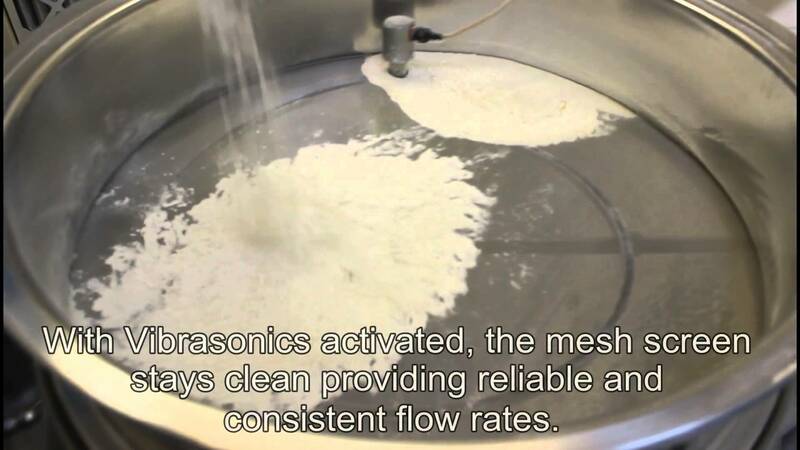 Russell Finex's innovative ultrasonic sieve deblinding system has revolutionized the way difficult powders are screened on sieve meshes. 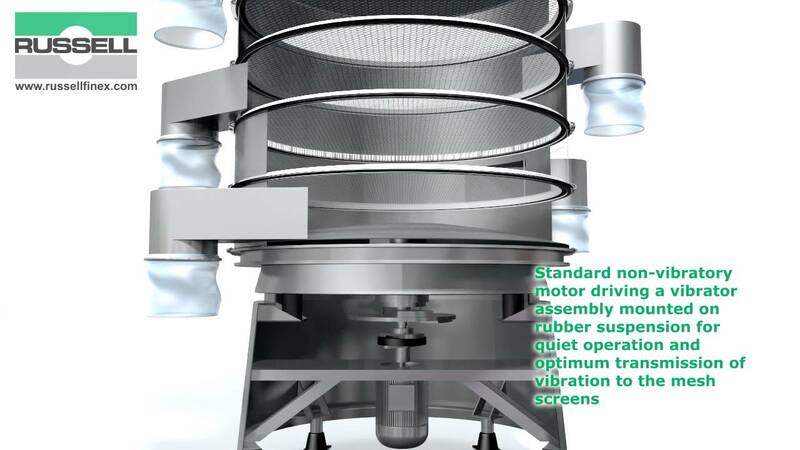 The Russell Compact Sieve Vibratory Screener was chosen due to its compact size, which allows the machine to easily fit into areas in the production line with limited headroom space, without compromising flow rates. 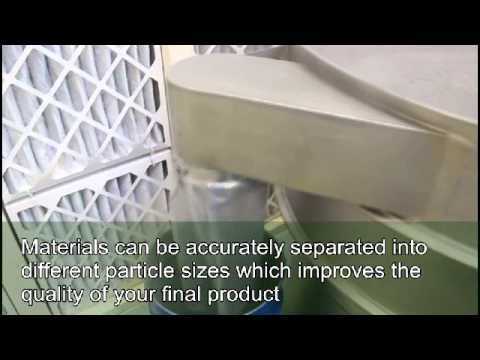 The Russell Compact Airswept Sieve™ enables pneumatic conveying and check-screening of material from storage locations to your next process stage. 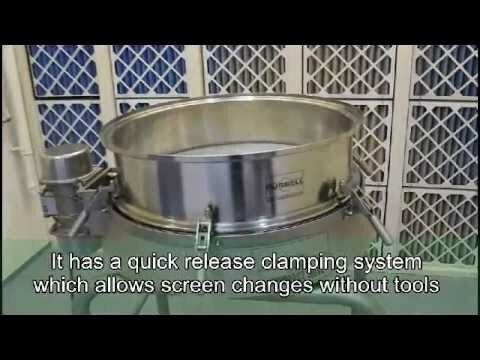 This vacuum conveying sieve combines Russell Compact Sieve technology with industry standard conveying lines for ease of installation with minimal space required. 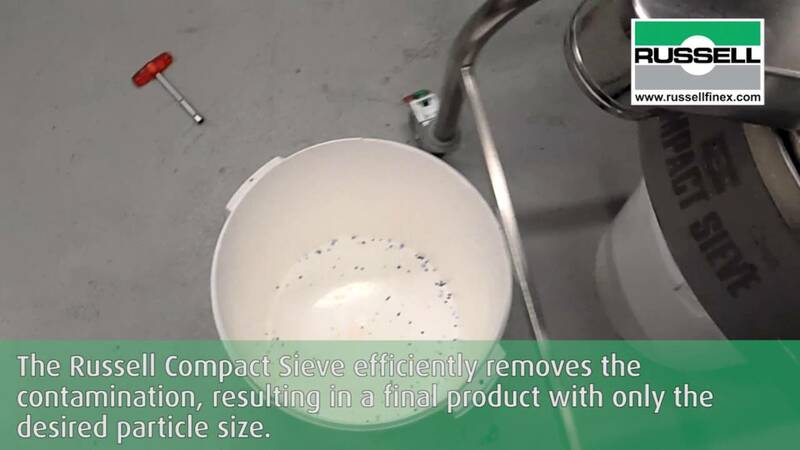 Self cleaning filters to remove contamination and oversize materials from your liquid products. 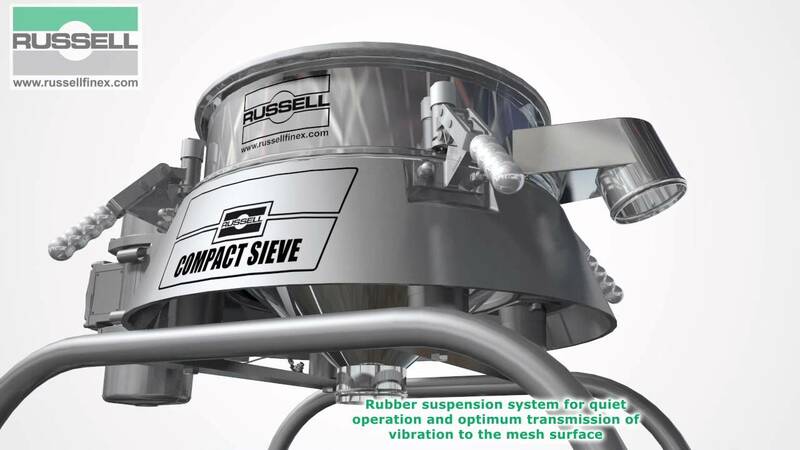 The Russell Compact Sieve® range of vibratory sieves removes all oversized contamination and is ideal for high capacity safety screening of powders and liquid slurries. 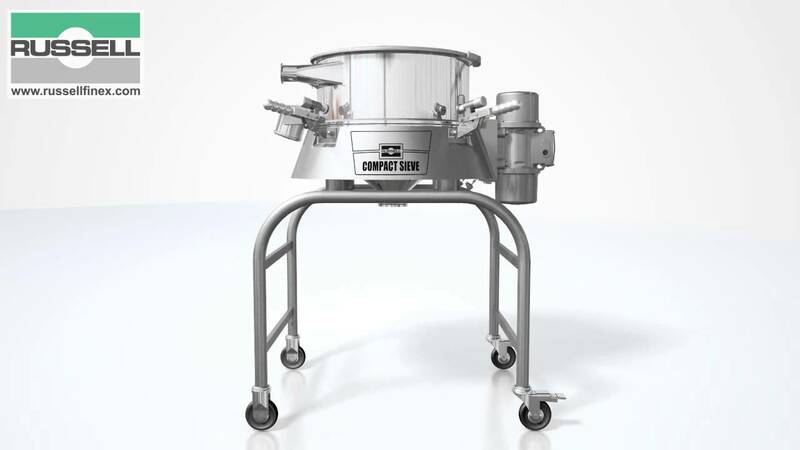 900mm Russell Compact Sieve check screening maize. 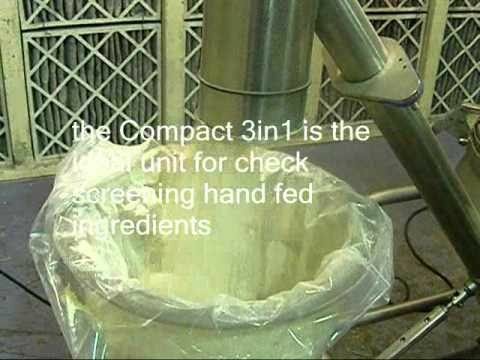 Compact 3in1 with screw conveyor check-screening hand fed ingredients. 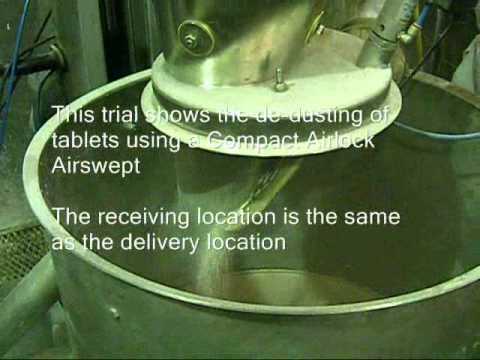 Compact Airlock Airswept with enclosed pneumatic conveying. 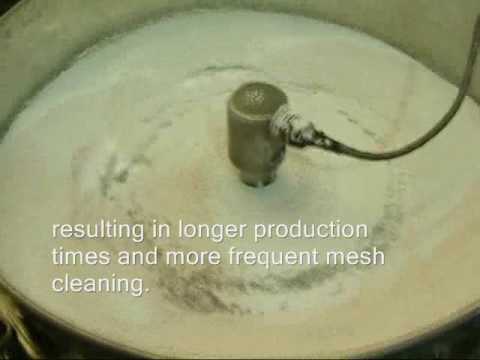 Grading tablets to remove defective tablets. 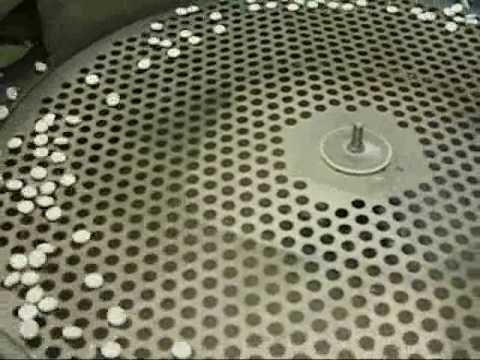 Russell Eco Filter fitted with Spiroklene removes contamination. 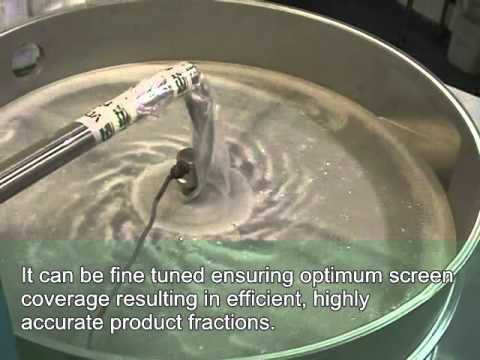 Finex Separator 40" fine tuned to ensure optimum screen coverage. 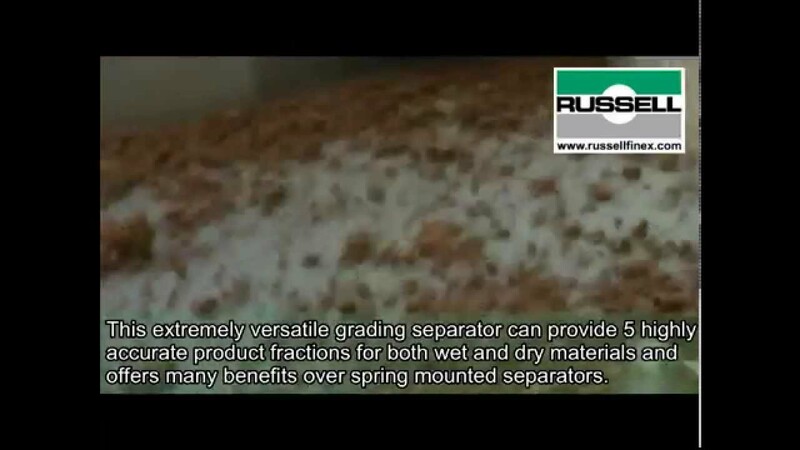 Grading steel powder with the Finex Separator 48". 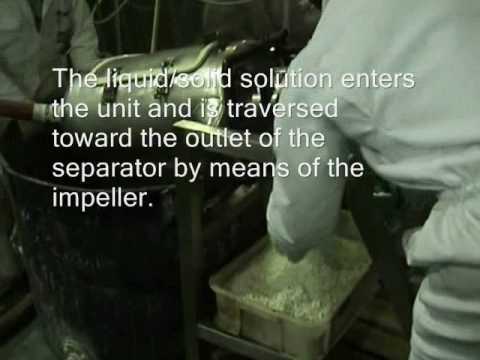 The Liquid Solid Separator controls throughput with a variable speed gearbox. 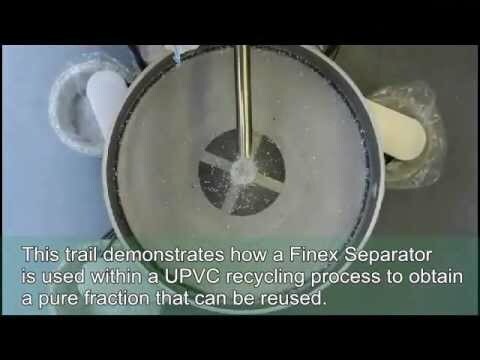 UPVC recycling through a two stage process using the Eco Separator. 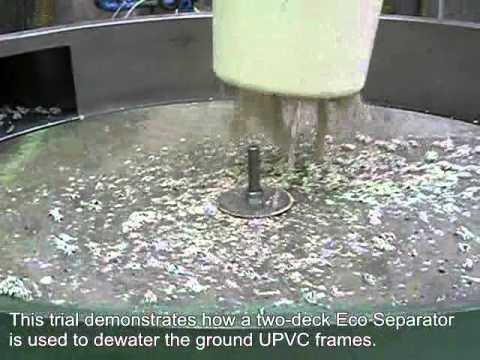 Recycling UPVC material through a three stage process. 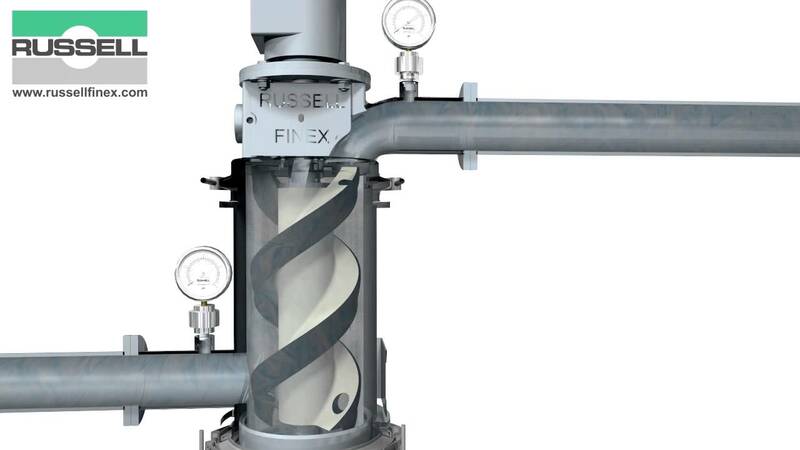 Separation of chocolate brownie pieces with the Finex Separator ™. This vibratory grader is ideal for grading wet or dry materials into 5 different fractions.